In April 1943 I took a test for the Army Specialized Training Program (ASTP). I was notified that I had passed and it was suggested that I run right down and join the Army Reserve, which I did in May. On my 18th birthday I received my orders for active duty. That letter came in the afternoon mail. (We had two mail deliveries in those days, Monday through Friday). I was granted 14 days LWOP (Leave Without Pay) after which I reported to Fort George Meade, Maryland. Five days later I left Washington DC by train for Camp Wolters, Texas. I had basic training in an IRTC (Infantry Replacement Training Center). Most battalions that trained there were split in half, with one half going to the Pacific and the other half going to North Africa. We were a special battalion all tentatively headed for ASTP. I was the youngest guy in my company and the oldest was 23. I was the only one out of 200 who hadn’t spent a single day in college. The 23 year old had just received his B.Sc. Degree. Most of those in my company were sent to John Hopkins University in Baltimore, Maryland. While there I organized a small band and we played a retreat ceremony each weekday evening. Since I originally thought that I would be able to get veterinary training and they had put me in civil engineering, I was not happy and resigned at the end of the first six weeks even though I had average passing grades. After a two day leave I was shipped to the 106th Infantry Division at Fort Jackson, South Carolina. I ended up as a 705 Rifleman in “B” Company, 423rd Infantry Regiment. (This was one of the two 106th Regiments that were surrendered in the Battle of the Bulge). Right after Christmas 1943, I managed to transfer to the 81st Engineer Combat Battalion. Soon after I applied for Aviation Cadets in the Army Air Corps, was accepted and got shipped to Miami Beach. We had two solid weeks of testing and I was fortunate enough to be among the 26 out of 200 men in my Flight who qualified. Then I became a QAC (Qualified Air Cadet). The other poor souls were sent back to the 106th Division, which was the located at Camp Atterbury, Indiana. Three weeks went by and all 26 QAC’s were relieved, without prejudice, for the convenience of the Government. We were shipped to Fort Jackson, where they had an elaborate screening process for us newcomers. They tried to make me a 705 Rifleman again, but I talked my way into the 312th Engineer Combat Battalion. I was assigned to “B” Company. I was asked if I wanted to be the Company Clerk since I could type. I respectfully declined, even though I could have made Corporal overnight. I did not enlist in the Army to sit behind a portable typewriter making out pay rolls. A few weeks later I asked the Company Commander for a Pfc (Private First Class) stripe, which I did get and stayed that way for a long time. There were over 130,000 men sent from the ASTP, the Air Corps and the Coast Artillery to various Infantry and Airborne Divisions, all of which were over strength in grade, which is verboten in the Army. Therefore, most promotions came through losses from killed and wounded in combat. We went to England in November and France during the first week of December 1944. We crossed the Channel on an LST (Landing Ship Tank). We had gone from New York on the Louis Pasteur, a French ship that the British had captured before the French could scuttle it. It was the seventh largest passenger liner afloat, and the stabilizers had been removed so we could make knots. Of the 10,000 men on that ship about 9,000 were sea sick. I did not eat or drink for nine days! In France we went to Metz. Our artillery took out the last Forts at Metz, really historic because those Forts had not been breached for centuries. We were then shipped to the Saar, where we had our first real baptism of fire. Our casualties were quite high, and one company commander was relieved because of the high rate of trench foot. We were in Germany when the Battle of the Bulge started further north. We then moved to Belgium. On the way we were bombed for the first and only time during the war. The 4th Armored Division broke through the German Encirclement first. It was difficult holding the breakthrough, but with their fortitude and the support of other advancing Divisions the breakthrough held. We were one of the three Divisions that relieved the 101st Airborne Division in Bastogne. 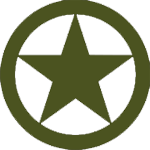 Other Divisions with 87th Infantry Division were the 11th Armored Division and the 17th Airborne Division, both getting into combat for the first time. Later, before going to Saint-Vith and moving to the Siegfried Line, we were sent to Luxembourg for several days. We erected barbed wire aprons on the hill on the west bank of the Moselle River, mostly at night because the area was under enemy observation. In fact, we could see Germans on the other side of the river. Then back to Belgium and into Germany again approaching the Siegfried Line. We got involved in a lot of hot stuff there. We did a lot of both mine planting and mine removal. We got to blow up several pill boxes, some with Germans still in them. We built two corduroy roads. Lost two men in my squad, one dead, the other with a finger shot off. Picked up another Purple Heart in our squad, making three for our squad up to that point. I got to use a flame thrower for the first and only time, against some caves at the top of an opposite hill. Gave the Germans a hot foot. 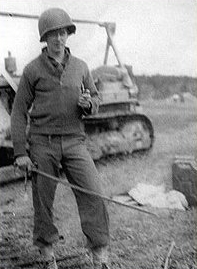 Nineteen year-old Arthur W. Jasper standing in front of a bulldozer and holding a German sword. This was in Germany, probably around April 1945. Skipping along, we went to Koblenz, which was captured by the 87th Division. Later, high up on the west bank of the Rhine River we drew as much incoming fire as possible, making a much noise as we could, firing weapons, racing six by six trucks motors, and running our power saws. This was to divert the Germans’ attention while our infantry men were making a Rhine crossing at Boppard. Further south, an Army engineer outfit, with some Navy boys, built a beautiful pontoon bridge from St Goar to St. Goarhausen. The bridge had two exits on the east bank. Fantastic! Probably the only two-exited pontoon bridge anywhere in the world. We simply crossed the Rhine in our 2 ½ six-by. As we crossed Germany to the Czech border we had a lot of unusual experiences. Among them, Patton made sure that we got to visit the Buchenwald Concentration Camp just a couple of days after it was captured. Some experience! After going through Camp Oklahoma and Camp Lucky Strike, both in France, we boarded a Liberty Ship, the Marine Fox, on July 3rd 1945, my future wife’s birthday. We sailed on July 4th, and landed at Newport News Virginia, on Friday, July 13th. How’s that for luck! The war in the Pacific was over on the last day of my 30 day furlough. Good thing for I found out later that we were scheduled to land in Tokyo Bay on D-Day plus 10 in December 1945. We left Camp Indiantown Gap, Pennsylvania, and went straight to Fort Benning, Georgia. Soon after our arrival there they sent 146 Engineers to Yuma, Arizona to work on an experimental bridge on the Colorado River. The 87th Infantry Division was the first Division in the Army to be deactivated after WWII, and that was done at Fort Benning, shortly after our arrival there. The troops never got off the 2 ½ ton trucks at the tent city near Yuma. We had a near mutiny. Eventually we went up the east side of the Colorado River on a gravel road to what is now part of I-10 and crossed a bridge to Blythe, California. We went to an Army Air Base that was being closed down and occupied two tar paper shacks there. No air-conditioning during the hottest part of the summer! I flew out of there on the last B-25 to leave that base and went to Muroc Dry Lake, now Edwards Air Force Base, north of Hollywood, California. I spent the weekend in Hollywood before hitch hiking back to camp, all the way across Southern California. We left Blythe the third week of November. We moved up to Fort Ord near Monterey, California. Two days later I was on my way home at the start of a 51 day furlough. A buddy from Philadelphia and I hitch hiked across the USA. I could write a book about that experience. I received a telegram about a week before my furlough was due to end. The Battalion Commander gave me a choice: (1) Return to Fort Ord and become the Battalion Sergeant Major or (2) Go to Indiantown Gap to be discharged. I chose to be discharged but re-enlisted in the Reserve to protect my rank. I was a T/4 Sergeant. My discharge reads 11 January 1946. 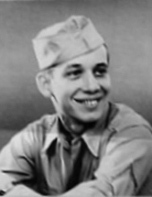 Bill Jasper retired from the Army Reserve in 1965 with the grade of Major. This initially was a letter that I wrote to a friend. Updated February – 2008. It is not a journalistic masterpiece, but I think it essentially tells my story in a rather compact form.